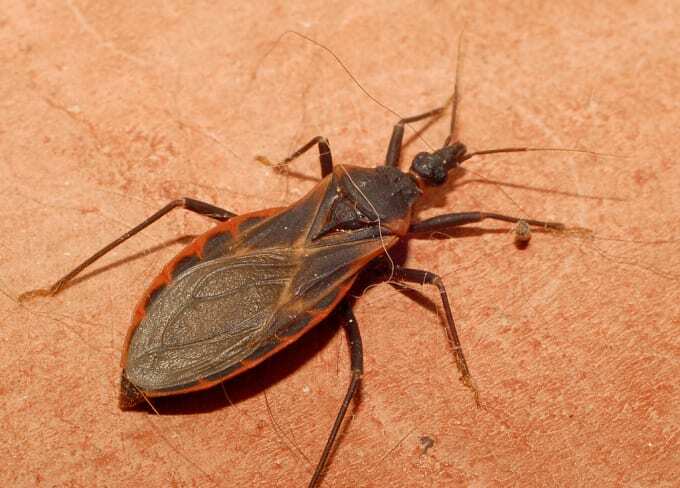 Don’t panic, but scientists want you to be on the lookout for the “kissing bug” making its way north from Latin America. The name might sound romantic, but there’s nothing appealing about the inch-long triatomine insect which bites the face and lips while a person is sleeping—hence the nickname. But what makes it potentially fatal is the fact that it defecates on the bite. According to Syracuse.com, the bug sometimes carries a parasite called Trypanosoma cruzi, which can be transmitted through the feces and cause Chagas disease. Flu-like symptoms include fever, body aches and vomiting, along with chronic conditions such as chest pains, difficulty breathing and death. Similar to shingles, the symptoms can remain dormant for up to 20 years. The disease, which can also be contracted by dogs, cannot be transmitted human to human. However, if the bug defecates on food consumed by a person, they can still get it. The bugs have been spotted in 28 states so far—predominantly in the South—but they’ve also made their way to Pennsylvania and possibly New Jersey. The Centers for Disease Control reports 300,000 cases of Chagas, but they say you’re not very likely to die from it. That’s because only one out of every 900-4,000 contacts actually ends in the transmission of the disease. However, if you do end up spotting one, the CDC says not to squash it. Instead, place it in a container and kill it with fire drown it in rubbing alcohol or freeze in water. Afterward, take it to your local health department. Happy catching!